We have all heard and employed the adage, “Desperate times call for desperate measures.” Although I have embraced this truism a time or two, there is for me a more descriptive phrase – “Desperate times call for creative measures.” I remember, once, using a clothes hanger to replace a broken shifting link in the engine of my car. Although it was unconventional, it worked. Everyone who had the privilege of beholding my glorious “MacGyver-like” solution commended my ingenuity. No one criticized me for using the hanger in a way other than it was designed. Yet in a manner of speaking, I used the clothes hanger out of context because it was created for hanging clothes, not shifting the gears of my car. In this situation, the issue was simply whether or not the hanger served my needs; it was purely pragmatic. However, creativity is not always commendable, especially when we are dealing with values and truthfulness – things that are without a substitute. Our employment of Scripture is one such instance where mere functionality cannot be our sole criterion for usage. Our regard for the Bible as God’s word demands that our interpretations and applications abide within the confines of authorial intention and linguistic sensibility. Stated differently, as readers of Scripture we depend upon context – the cultural, historical and literary environment of a passage. For example, we would grimace if a recently convicted criminal, during his sentencing, admonished the judge with a statement from Paul’s epistle to the Romans saying, “Therefore, you are without excuse, whoever you are, when you judge someone else. For on whatever grounds you judge another, you condemn yourself…” We would certainly see this as a convenient misuse of Scripture because the statement has been removed from its textual habit at without regard for its placement in Paul’s larger argument that was used to address an entirely different situation. A contextual violation such as this is a bit obvious, or at least it should be. Yet we still find ourselves in situations where people quote Scripture without an intentional awareness of the cultural context, historical context and literary context for the passages referenced. It is these three items that we will briefly consider. The first component to consider is cultural context. We sometimes forget that our primary source of religious truth is a collection of documents that represent, at least in p art, the social structures of several ancient cultures. A modern reader is distanced from the human authors in time, location and cultural world-view. Our Scriptures span centuries of various social, political, geographical and religious circumstances, many of which we would not understand intuitively because we are unfamiliar with certain ancient customs, expressions and perspectives. The deeply embedded values may be identical to our own but the mechanisms that were produced by historical processes differ. For example, we might understand the emotional tension and discrimination found in the story about the Samaritan woman in John’s Gospel. But only an awareness of the historical and cultural details can illumine some of the comments in the dialogue. Ancient biblical and extra-biblical sources reveal a long-standing social, political and religious rivalry between the Samaritans and Israelites which eventually reached its crescendo with the destruction of the Samaritan Temple at the hands of John Hyrcanus, a Jewish leader, just a century or so before Christ. Despite their significant religious similarities, their divergent views regarding worship at Mount Zion versus Mount Gerizim led to the destruction of the Samaritans holy site.1 It is in this cultural and historical framework that Christ responds to the woman’s inquisitive comment about the proper places of worship with a prophecy about a time when true worship would not be confined to either location (John 4:20-24). Whereas an ancient reader would have been more apt to detect these cultural allusions, we are strangers to these specific circumstances and thus oblivious to the fuller import of Christ’s announcement. One of our objectives then should be to discover these ancient cultural realities, thus informing our interpretation with an accommodation of these differences of time, geography and social constructs which were part of the original correspondence.2 Although we may never be able to walk in ancient shoes perfectly, we can still strive to understand the backgrounds of these people, perspectives and events. As foreboding and academic as this may sound, this task of contextualization is not unique to the study of Scripture. It is an unnoticed exercise in all our daily communications. As we receive information from others, both written and spoken, we immediately, even subconsciously, consider the data in light of the sender’s context; that is, we interpret what is meant based upon the communicator’s references and symbols. This interpretive process is something we already do. This does not, however, necessarily guarantee that we will always correctly identify and interpret cultural allusions because things become more cryptic as the sub-culture narrows. Still, this too is self-intuitive and we constantly and instinctively adjust our interpretations to infer meaning. For instance, as any parent would know, a child’s vocabulary or point of reference is not always self-evident even when we are familiar with the words being used. So in response, we adjust our understanding of context when we become aware of subtleties, nuances and references. If these intuitive strategies are necessary to understand utterances in our daily experiences, how much more are these processes necessary to properly interpret the linguistic shades and social references of cultures detached from us by thousands of years? The word “stoic” is a case in point. As we use the term today, we use it of someone who is easy going, even passive, casually and unemotionally accepting life as it comes along. Yet the Stoics referenced in Acts 17 are a group defined by theological and philosophical categories regarding inherent human dignity, pantheism, and the organic solidarity of humans with God. It was a formal systematic worldview, not a statement about ones personality or mannerisms.4 Or take for example the commandment to hate our own family (Luke 14:26). Just because we use this word in our conversations does not mean that we use the term in the same sense as is found in the sum of biblical passages (cf. Deut 21:15-17; “unloved”). When we speak of historical context, we move from the generalities of cultural context to the specifics of authorship and audience.7 These two categories (cultural and historical) are inseparable because a historical event is always somehow linked to it s cultural framework. The biblical texts are written by persons in history, who are part of a culture and occasion, to others who are also situated in a cultural-historical context. Therefore it is imperative to seek an interpretation of the text that best represents the historical realities of both the writers and readers. For the authors, we identify their unique vantage point as individuals situated in a time and place. Matthew was a tax collector under Roman rule, David was a shepherd promoted unexpectedly as the first successful monarch of a tribal confederacy, Paul was a converted Pharisee, Solomon was a king and sage during Israel’s most extensive territorial dominance, and Nehemiah was a royal cupbearer during the Persian captivity. These men represent different social structures, occupational responsibilities and political realities, and their insight was in part consequential. It must be admitted that discovering these details is measurably easier for those writers who author several texts simply because there is more material with which to work. For writers such as Paul, Luke and Jeremiah, we can develop a personal and theological portrait that can be used cumulatively to inform many other biblical texts. They reflect at least one understanding of how other biblical texts were interpreted, how their current issues needed to be evaluated, and how these conclusions affected the direction of future theology. Some of this information comes autobiographically (from the author himself; e.g., Phil. 3:4-7) while other data comes from other biblical writers (e.g., Peter’s statements about Paul and Lot; 2 Pet. 2:7, 3:14-16). For the audience, we take the same steps. We first try to identify the culture of a particular audience (time, geographic location, political realities). Life for a Colossian believer looked different from that of an Ephesian believer, which again differed from a Laodicean believer. Therefore, the nature of the historical situation, along with the corresponding responses from the biblical writers, differed accordingly. We seek to understand the particulars by consulting the text itself and referencing supplementary biblical texts. These steps are of special importance because a writer s message is offered to others in a situational context. How can we apply Scripture without understanding why something is said? The biblical text is a product of some historical situation.8 Is the message offered to a Jewish audience (Hebrews), a Gentile audience (Ephesians) or both (Romans)? A pre-exilic community (the Pentateuch, maybe), an exilic community (Jeremiah 29) or post-exilic community (Ezra)? Has the Temple been destroyed (Lament ations)? Are they under the rule of the Babylonians (Daniel), Persians (Esther) or Romans (The New Testament)? Are they scattered in dispersion (1 Peter) or are they in the Promised Land (Psalm 2)? 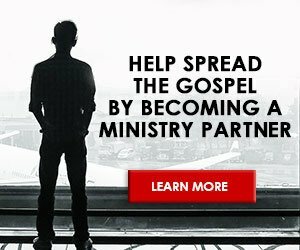 Is the intent to rebuke sin (1 Corinthians), warn about apostates (Jude), defend a ministry (2 Corinthians), or explain national circumstances (1-2 Kings)? Failure to appreciate these points increases the potential for misinterpretation. We have all had the experience of someone taking our words and using them in another situation that may not meet the basic conditions of the original situation. Likewise, when we fail to identify the historical context of a passage, we run the risk of improperly applying Scripture. Biblical events occurred centuries ago. The best understanding of a text is one that best accounts for the apparent historical circumstances. In addition to cultural and historical context, each book and passage of Scripture also has a literary context that comes to us through a series of grammatically structured sentences, organized into larger textual units, and nuanced by a collective sense of style, syntax and vocabulary. That the Bible is literature is an often neglected truth, at least in practice. Although this oversight may be generated by a noble intention, namely upholding the Bible’s distinctiveness, it is nevertheless a harmful, nave, and unnecessary misunderstanding. Scriptures uniqueness is found in its message and ultimate source, not its medium. Therefore, to appreciate Scriptures conventions as a written text, we must identify its accompanying grammatical and literary boundaries that guide us into the truth of God’s character and will. So how do we discover literary context? Where do we begin? Well, the answer is simplistic, yet sometimes not so simplistic. It is simplistic because we start by reading from the beginning of a text, identifying the smaller grammatical forms and their functions. This step is crucial because we cannot make sense of any larger textual unit (paragraph or passage) without first understanding the functions of the more basic components (i.e., subject, verb, object, etc.). As we read, we use the smaller grammatical constituents to gain an understanding of the fuller meaning presented in the sum of the parts. It is the identification of this larger image that makes the task a bit more complicated. Seldom will we find merely a lone statement, isolated from a literary context. Instead, individual units draw meaning from their placement within the larger textual environment. In other words, the smaller textual components acquire their verbal nuances and syntaxes from the cumulative presence of textual components in which they are situated (i.e., paragraph and book). Like a puzzle, the smaller pieces form the finished image but the final image it self gives definition to the individual pieces, without which they would appear to be mere randomly colored cardboard shapes. So while we naturally have to begin with the smallest components and work outward, forming the larger textual habitat, we must be diligent all the while to test both larger and smaller units against one another to ensure a comprehensive interpretation. Second Peter 3:9 provides us with an example of this synergism between the “puzzle pieces” and the “larger portrait.” Most of us have heard someone quote this verse with the statement, “God is not willing that anyone should perish, and usually in a conversation about Gods redemptive love for humanity. Yet, although this may be a general truism about the heart of God, it does not reflect the likely literary force of this verse, grammatically or contextually. When believers reference this passage, they overlook the grammar by conflating the controlling verb, “God is patient,” and the modifying participial phrase, “not willing that any should perish,” thereby misrepresenting Peter’s comment. However, in this verse, the participle “not willing” does not have the full force of a verb (even though we quote it as the full verb), but instead modifies a finite verbal concept (“patient towards you”). Grammatically, Peter’s statement is about God’s patience as reflected in his will or desire. So the popular paraphrase may be grammatically incorrect. Concerning the larger context, many believers who reference this verse overlook the linguistic nuances supplied elsewhere in the epistle which define “you” as believers, not humanity in general (1:8,10,11,15,2:13, et al).9 Therefore, based upon probable grammatical and contextual intention, the verse is a proclamation about divine longsuffering as reflected in God’s “will/desire” concerning “you” (believers). It is the “you,” defined throughout the text as believers, that God does not “will/ desire” to perish. This conclusion is substantially different from the popular paraphrase offered by so many. This is not to say that God does desire for humanity to perish, just that this passage is a statement about God’s faithful love towards believers. In this example, like all texts, the grammar of the verse provides the basic format and the whole epistle provides connotation. As we read the Bible, we must pay careful attention to these types of details because they are the clues that structure the writer s precise message. In terms of grammar, items such as pronouns, prepositions, conjunctions, and verbs are the essentials of clauses and sentences, forming the building blocks for any written text. Conjunctions like “because,” “therefore,” and “but” offer important connections between sentences and clauses that allow an author to develop an idea and associate it with others in the same text. In our efforts, though, we must balance grammar with context. We cannot lose ourselves in the details; we must work diligently to identify the collective logic of the sentences. The Bible is not a series of random propositions but an assortment of stories, poems, law codes and narratives that are created by the sum force of words, sentences, and paragraphs. In terms of larger textual context, the words within individual sentences have only a range of meanings. It is their placement in an environment of concentric literary contexts that offers more precise connotative value. For example, our word “make” can mean several things but means something more direct when associated with other words – make breakfast (i.e., prepare), make money (i.e., acquire), make demands (i.e., give or expect). The larger literary context will help determine word meanings and syntax. Even so, it might be helpful to consult Bible dictionaries because sometimes our English words do not mean the same as these words would have to an ancient audience (e.g., fulfill, convict, justify). In the end, we must consider all the features of literary context to fully appreciate the author’s message. We decry cults for carelessly throwing around verses but Christians frequently do the same. We quote verses without any awareness of the point of the assertion in it’s literary context. The statement “give me a break” means one thing if it is coming from a man pulled over for speeding, but another thing when spoken by a woman whose broken arm needs to be reset by her doctor. It means still another thing coming from a parent who has just heard the lamest of excuses from a teenage son. So if cultural, historical and literary context are essential for proper interpretation, how do we avoid being the “MacGyvers” of the hermeneutical world? First, read a passage entirely several times, giving careful attention to grammar and formal conjunctive connections. Second, allow the fuller text to offer its own definitions and connotations of terms. What Peter means by “knowledge” (2 Pet. 1:3) is not the same as what Paul (Col. 1:9) may mean by the same term. Third, consult commentaries and Bible dictionaries to bridge the gap s in cultural-historical context. Such measures will decrease our susceptibility to false interpretations, which will in turn diminish the chances of inappropriate applications. Jason Snyder (Ph.D.) is Associate Professor and Chair for the Department of Biblical Studies at Southeastern Bible College. He has just edited the book, Samuel, Kings and Chronicles: A Harmony of Histories. 1 See Andreas J. Kostenberger, “John,” in Zondervan Illuistrated Bible Backgrounds Commentary , ed. Clinton E. Arnold (Grand Rapids: Zondervan, 2002), 42-48 and Anthony J. Tomasino, Judaism Before Jesus: The Events and ideas that Shaped the New Testament World (Downers Grove: Intervarsity Press, 2003), 54, 56, 63-64, 108-111, et al. 2 William W. Klein, Craig L. Blomberg, and Robert L. Hubbard, Introduction to Biblical Interpretation (Dallas: Word Publishing, 1993), 6. 3 For a helpful list of specific cultural particulars, see Roy. B. Zuck, Basic Bible Interpretation (Wheaton: Victor Books, 1991), 79-90. 4 Kenneth Scott Latourette, A History of Christianity: Beginnings to 1500 (San Francisco: Harper Collins, 1975), 26, 27. 5 Introduction to Biblical Interpretation, 172-173. 6 David S. Dockery, Kenneth A. Matthews, and Robert S. Sloan, Foundations for Biblical Interpretation (Nashville: Broadman and Holman Publishers, 1994), 48. 7 This objective is somewhat of an oversimplification because not all texts offer a specified author and/ or audience (e.g., particular Psalms, 1-2 Samuel, Hebrews, et al. ). In these instances the average reader must rely primarily upon textual content to inform a vision of the historical context. 8 Introduction to Biblical Interpretation, p. 7. 9 The Majority Text reads “us” which is still in the context of believers.